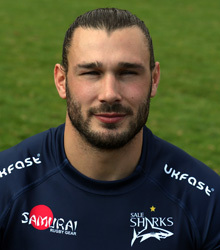 It’s all a bit secret squirrel at Sale Sharks where winger Tom Arscott has been suspended for allegedly leaking information to Bristol prior to the New Year’s day game between the two teams, a game which Bristol won 24-23 after overturning a 0-15 deficit. Both Sale and the RFU are investigating and, while Bristol have confirmed that Arscott did meet his brother (and Bristol player) Luke the day before the match, the West Country club insists that "nothing of any sporting value" was passed on. - it seems that the attention of Sale’s DoR, Steve Diamond, was drawn to the issue by members of the Sale squad, suggesting deeper underlying issues amongst the players? Residency rules under attack from common sense? Is this England’s Unluckiest Player?